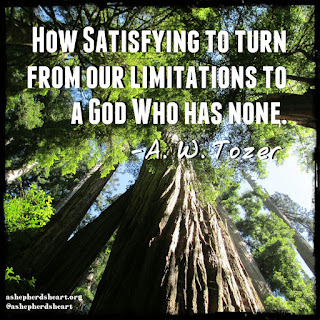 A Shepherd's Heart: Endor and The God of Impossibilities! Endor and The God of Impossibilities! As part of a family road trip vacation we had the opportunity to drive to northern California to see some of the giant Redwood Trees in part of the Jedediah Smith Redwoods which spans many miles. It was truly incredible! We spent several hours enjoying hiking through a very small section of the forest. Everywhere stepped we were surrounded by massive trees. When I say massive, it's very true because some have grown to 37 feet wide and hundreds of feet tall and have been there for hundreds of years too! All humor aside, pictures (such as the one above) and words cannot quite capture the size and almost majestic nature of the Redwood as part of God's creation. As I was surrounded by the towering Redwoods, I was reminded once again how small I / we are and how amazing, strong and beyond measure God is! This truth is so evident not only in the beauty of His creation but even in the mundane things in life that we take for granted...and I didn't have to transport to a fictitious planet in a galaxy far far away to see the evidence of this truth, rather, I just had to pause, open my eyes an take in the awe an wonder of Who He is. Now maybe in the middle of a quiet and isolated forest surrounded by massive and very old trees it's easier to see His handiwork, but, what about the day-to-day? He's there too if we'll only recognize that He is at work there too. Even in the middle of the sometimes crazy seasons we face, He Is there finding a way for us where there seems to be no way! It's an incredible thing to see God at work every day including His creation which you and I are part of as He breathed life into us as well. Many times life can throw us the proverbial curve ball and we may feel like it's impossible to make it through that season we're in. Maybe you've been there too? Or, your emotionally and physically drained and you're at the end of a seemingly very thin rope that feels as though it's about to give way?! Or, you're at that dead end where it seems there's absolutely no way out!? The reality is, His ways are higher than our ways! 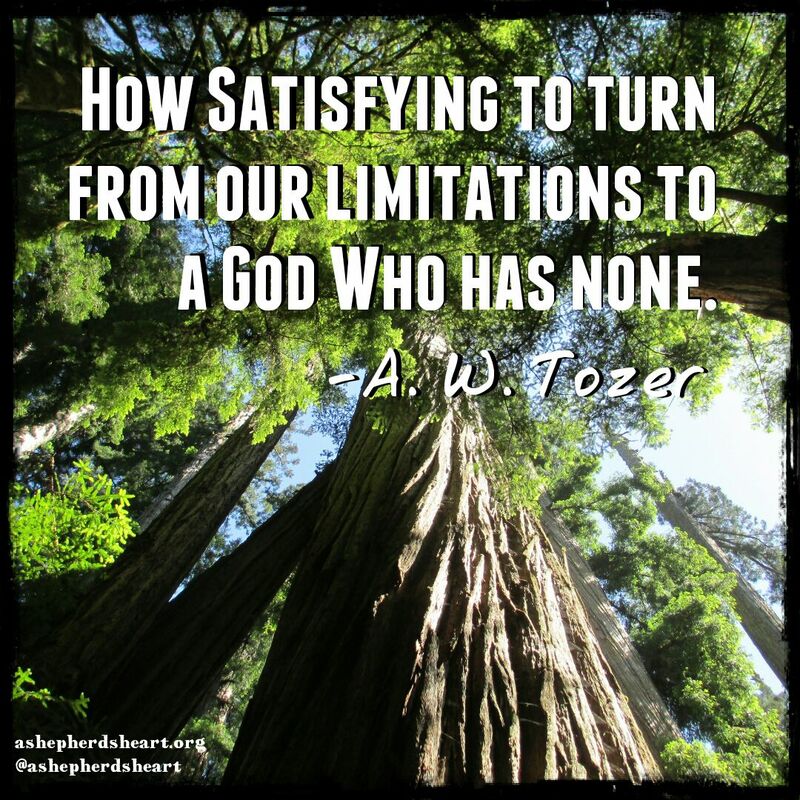 He has no limitations! He will make a way where there seems to be no other way and when your strength is depleted...His strength is perfect! He will lift you up and carry you through! when there seems to be no way out...He is there! You can turn and watch Him do something amazing because His strength, wisdom, plan will, resources, and more...are limitless! He is truly the God of impossibilities. I pray that you and I turn to Him first always instead of as an afterthought as He is faithful and powerful always! In Jesus name I pray, Amen. P.S. If you were encouraged by this post today, please share this post and ministry with someone today in order to share encouragement from God's Word with them!